Berenne started Sorbetiere in 2013, with a focus on producing fresh sorbets from scratch, using local fruits and fresh ingredients. What made them unique was their bespoke flavours and they began producing for companies and restaurants. 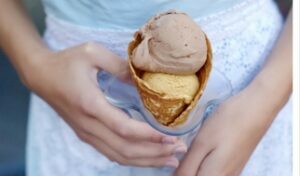 There was a gap in the market for interesting and unusual twists on the traditional sorbets and ice creams and ice cream was becoming a trending treat around the world. Sorbetiere take their cue from nature and are inspired by local products to create artisan Sorbet & Ice Cream in seasonal flavours. Berenne was a chef in France and slowly began to move towards pastry, and then sorbets. She brings her incredible food knowledge to the business and that contributes to its success. Everything is made in their Woodstock kitchen and their team of staff is still small. Strawberry sorbet for sure. In terms of ice cream, fresh mint and chocolate chip. And liquorice recently! How did your relationship with Honest start? We were Woodstock neighborhood friends and we just started chatting like that. They were going to open the Café in town, so we spoke about it and slowly started working on the chocolate and vanilla ice creams, and then the dairy-free options. We use their chocolate for the chocolate ice cream too. 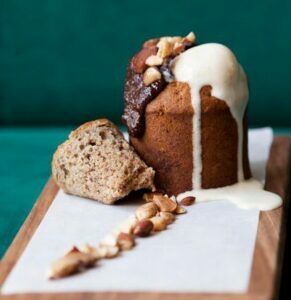 You’ll find Sorbetiere ice cream in our signature Banana Bread bunny chows as well as served on it’s own or in our chocolate and vanilla milkshakes.